Square brass two part belt buckle mounted with a white metal badge. 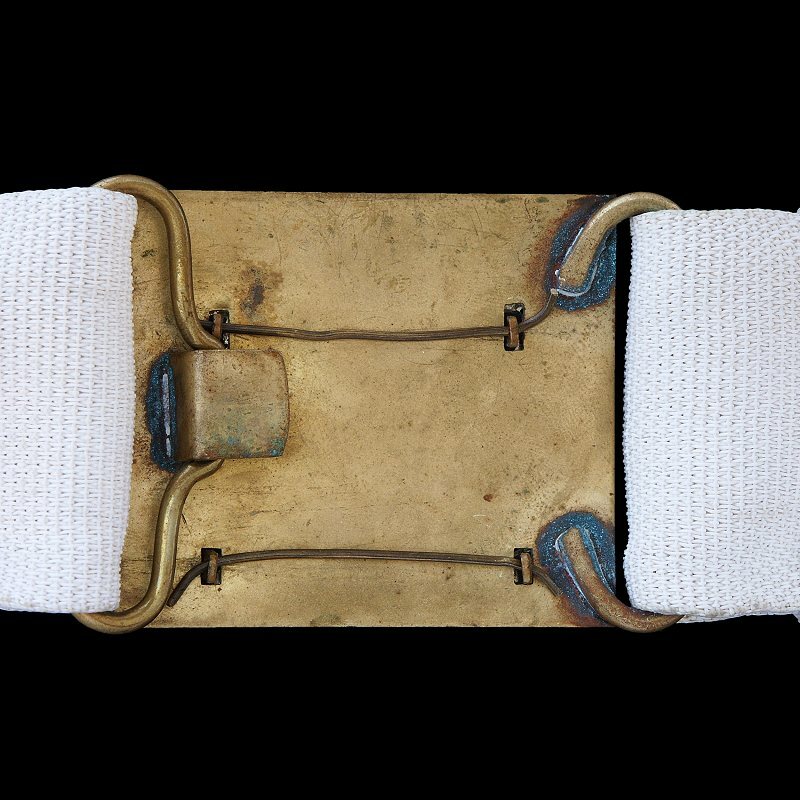 This example attached to a white webbing belt. 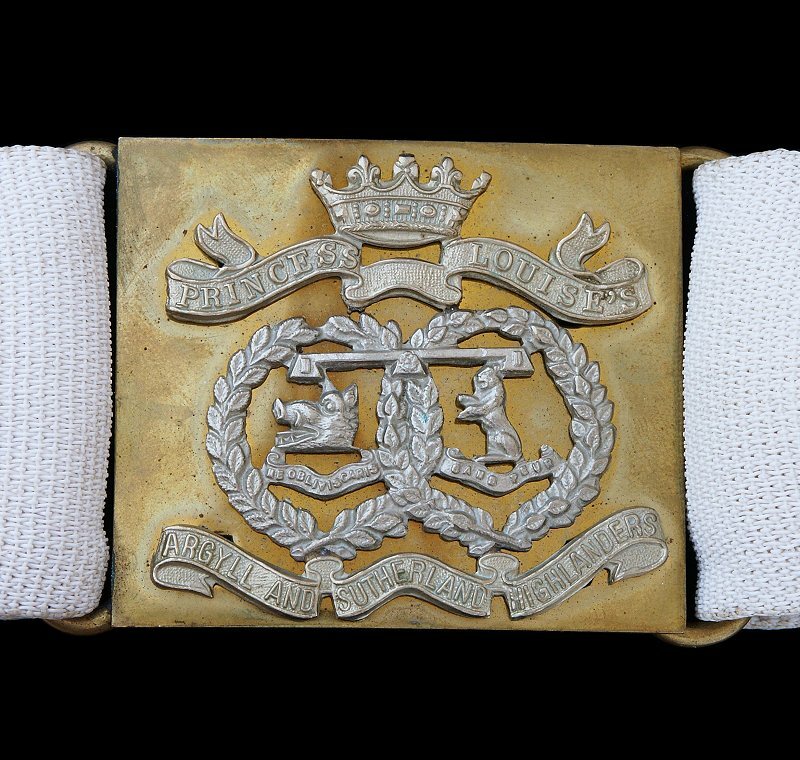 The white metal badge consists of two scrolls inscribed: ‘Princess Louise’s / Argyll and Sutherland Highlanders’, above the upper scroll is a coronet. Between the scrolls are two overlapping wreaths containing the heraldic symbols for Clan Argyll (boar’s head), and clan Sutherland (cat-a-mountain). This badge design is based on the collar badge rather than the cap badge. The badge has four small square lugs that pass through the buckle plate and is retained with split pins or wires. The dimensions of the plate, not including the loops is 65.7mm x 57.2mm. An officers pattern also existed in silver and gilt. The Argyll & Sutherland Highlanders amalgamated with other Scottish regiments on the 28th March 2006 to form the Royal Regiment of Scotland.